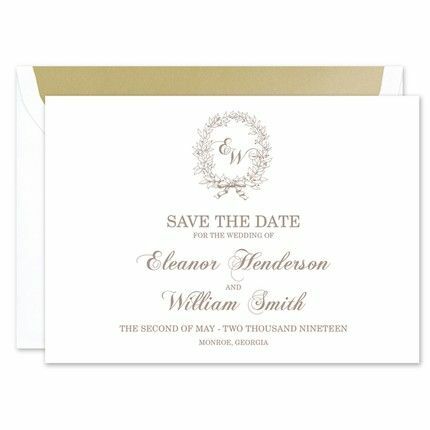 This triple thick save the date card boasts an illustrated wreath at the top with the text or monogram of your choice printed inside. Your event details and personalized text are printed below. Shown with optional monogram, Chopin Script.